I would expect nothing less from the home of a Brooklyn, New York-based "carpet designer". 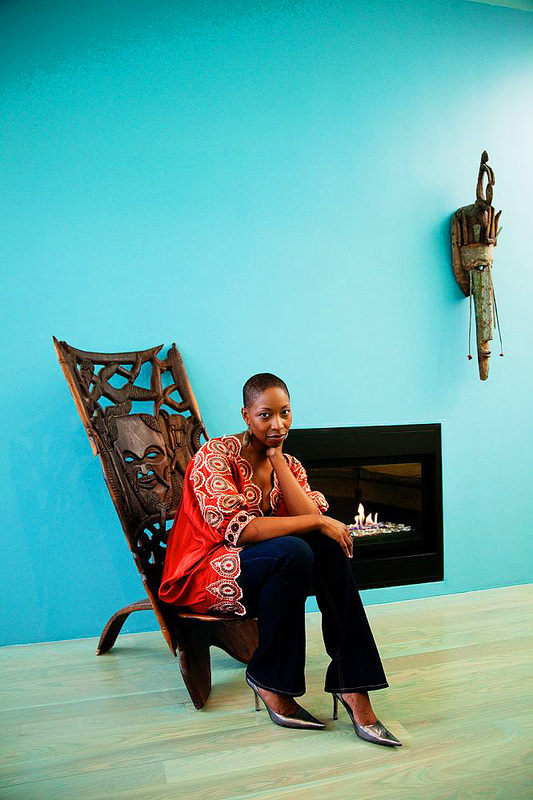 For more than a decade, Malene Barnett has been creating carpets for brands such as Nicole Miller, Martha Stewart, Nautica, Liz Claiborne and Nate Berkus, among others. 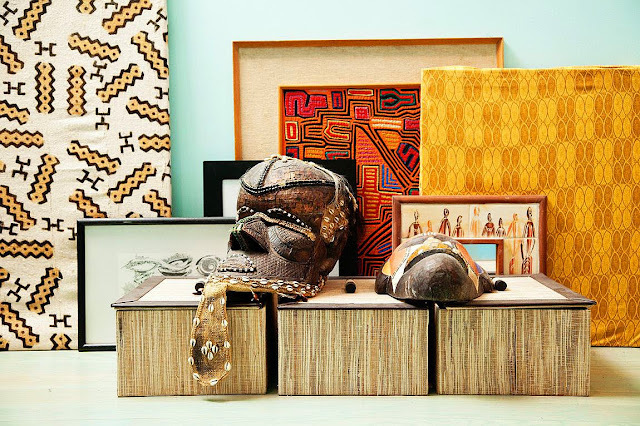 Let's visit her retro-tribal-mod Brooklyn home on The Selby (click here to take the full tour). She had me at aqua walls... PS Visit her blog and follow Malene (ma-lay-nee) here on Twitter. What beautiful and inspiring images. 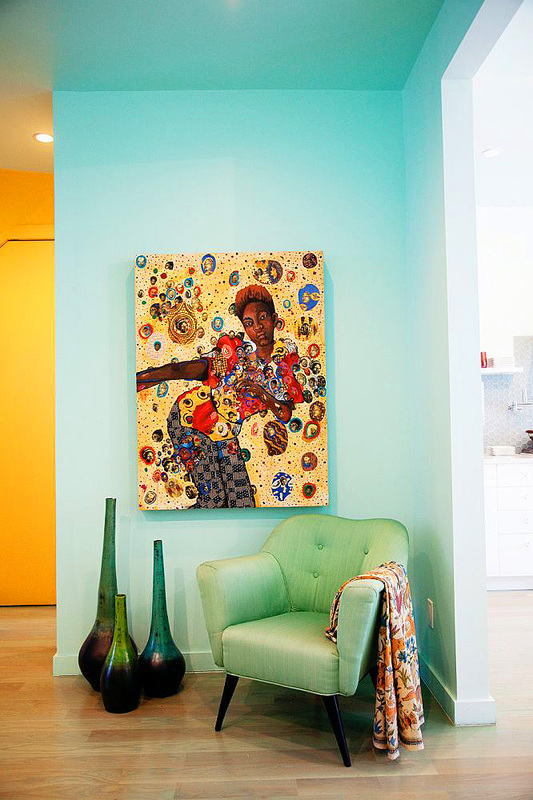 Clearly, these are the type of interiors that bring a smile to your face! She gets around the 'blogosphere', I blogged about her and her carpets sometime ago. It's still lovely to look at. The turquoise walls are making me smile!